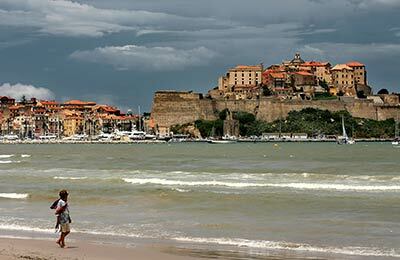 Ajaccio offers a perfect gateway into the beautiful French island of Corsica. With ferries sailing daily to mainland France and several times per week to the Italian island of Sardinia, it's little wonder that so many people choose to enter Corsica by ferry - and you can book them all through AFerry. Ferry companies operating these routes include SNCM, Corsica Ferries and La Meridionale. Below, you can find all their timetables, journey times and best prices. Ajaccio ferry port is located on the west coast of the island of Corsica. Two ferry companies operate from Ajaccio ferry port offering frequent sailings to mainland France and to Sardinia. 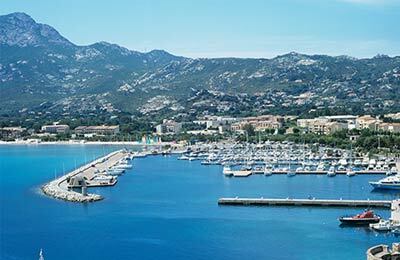 The port is well located near Ajaccio town centre offering easy access to shops and restaurants. Long and short term parking facilities are available at the Ajaccio Ferry terminal with special provision for people with disabilities. Ajaccio Ferry Port is well connected to the main roads of Corsica. If you are arriving at the port from Bastia or southern Corsica, follow the Cours Napoleon until you arrive at Griffi square, then follow the signs to the Ajaccio ferry port. Ajaccio Ferry Port is well connected to the main railway lines of Corsica, two train companies operate out of the Ajaccio train station, with connections to all parts of the island.